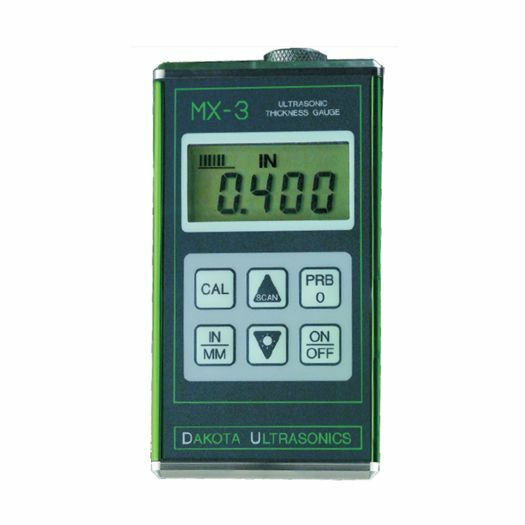 The MX-3 is a professional ultrasonic thickness gauge providing extreme flexibility & accuracy to field calibrate to a variety of materials instantly for material thickness measurement. 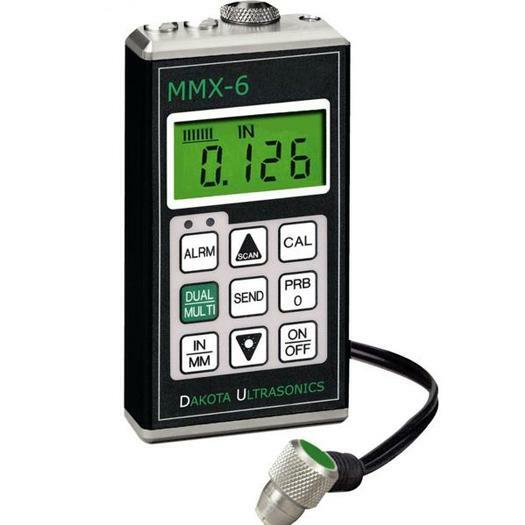 The MX3 is a sturdy & highly accurate material thickness gauge for professional users requiring high accuracy & demanding years of error free performance while requiring only basic thickness measurement of various materials. Transducer Dual element (transmit and receive). 1 to 10 MHz frequency range. Resistant to impact and environmentally sealed. Typically operates for 200 hours on alkaline and 130 hours on NiCad. Display flashes when battery is low. Display flashes when battery is low. Unit turns off automatically if battery is too low to operate reliably.